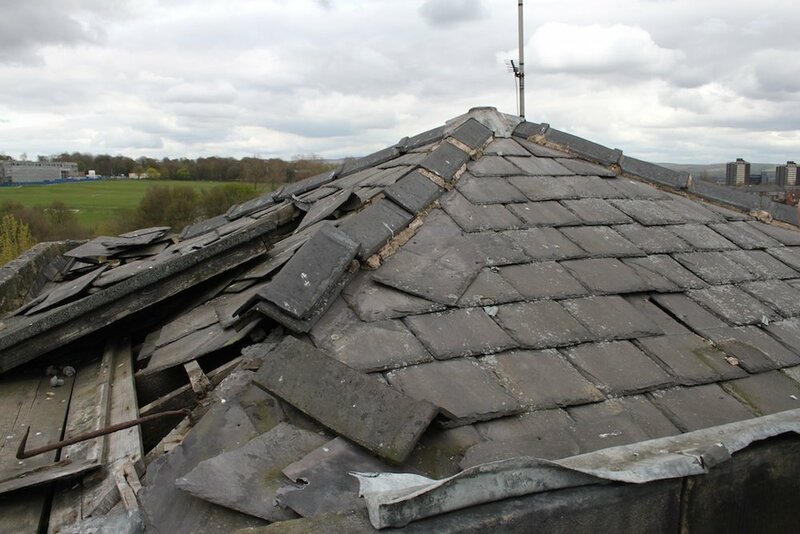 Here we undertook the complete re-roof for the water tower of a grade 2 listed building. 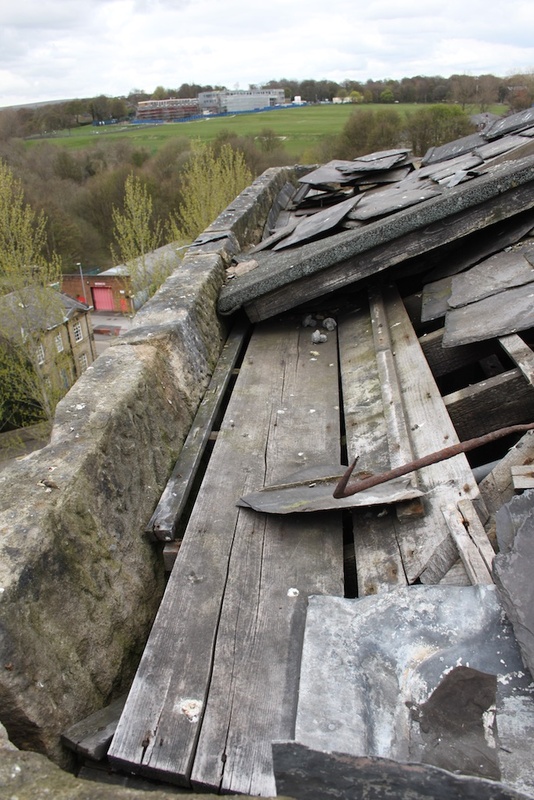 We had to carefully remove rotted timber work and replace with new, completing the roof with new timber work, battens, felt and slate works. 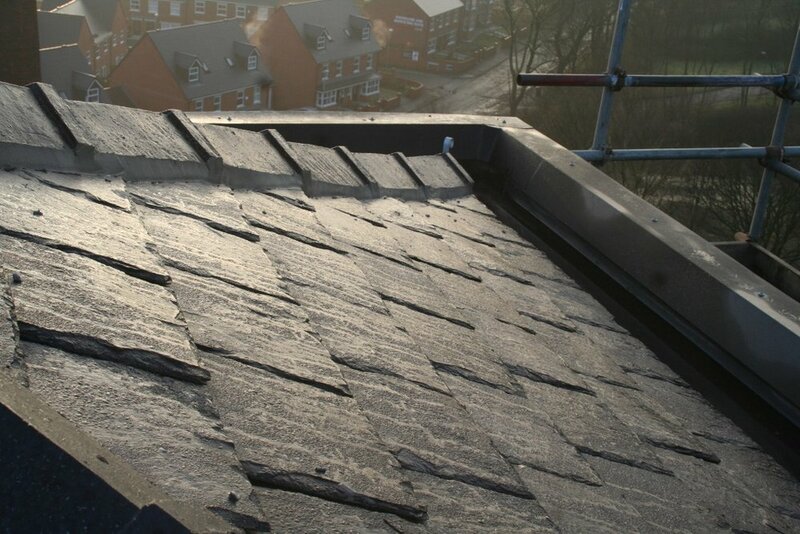 We installed access hatches to the roof, and with the ok from building control we installed a plygene gutter liner (guaranteed for 25 years) instead of replacing lead work which was continually stolen by thieves. 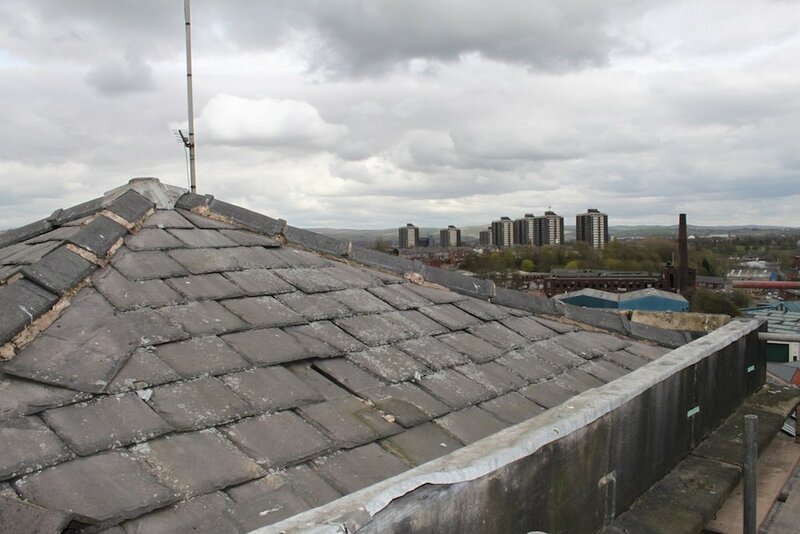 Works carried out from the internal of the tower were extremely dark and temporary lighting and a tower scaffold were erected by fully trained operatives, working in such a confined space was made easier through team work and planning. Another successful job complete for our client once again on time and within budget.